Bankruptcy is the solution to your financial problems. By filing bankruptcy in El Dorado County you can eliminate debt and stop collection calls. In fact, as soon as your Placerville bankruptcy attorney electronically files your petition with the court, creditors are prohibited from taking collection actions against you and your property. This prohibition against collection efforts is a product of the automatic stay, and it’s one of the advantages of filing bankruptcy. If you are suffering creditor harassment, wage garnishment, foreclosure, or repossession, bankruptcy will stop your creditors and give you a fresh financial start. Chapter 7 bankruptcy is the most popular form of bankruptcy for consumers. Chapter 7 bankruptcy can eliminate most unsecured debts such as credit card debt, medical debt, personal loans, and payday loans. However, chapter 7 bankruptcy cannot eliminate student loans or child support. Not everyone qualifies for chapter 7 bankruptcy. To qualify for chapter 7 bankruptcy you must have low income or pass what is known as the means test. To qualify as low income your income must be lower than the California median income for a household of your size. If your income exceeds that threshold then your bankruptcy attorney will have to perform the means test. Chapter 13 bankruptcy allows individuals to repay a portion of their debts over 3 to 5 years from their disposable income in exchange for the discharge of remaining unsecured debts. Furthermore, chapter 13 bankruptcy allows homeowners to save their home from foreclosure. In chapter 13 bankruptcy a homeowner in default can stop an impending foreclosure sale by filing a chapter 13 bankruptcy petition and keep their home by repaying late mortgage payments over time. In essence, chapter 13 bankruptcy empowers homeowners to force their lenders to accept a mortgage repayment plan while they keep their home. Many people wait too long before they speak with a bankruptcy lawyer. Unfortunately, these same individuals often worsen their financial situation and engage in disadvantageous transactions before ultimately turning to bankruptcy. For instance, many people take withdrawals from their retirement accounts before bankruptcy to pay-down unsecured debts. This is unwise as retirement accounts can be protected in bankruptcy. Furthermore, few individuals have saved enough money for retirement, so it is critical that retirement savings be protected before, during, and after bankruptcy. 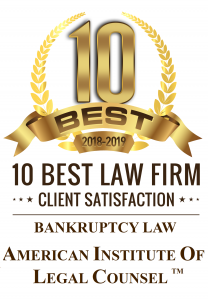 As many bankruptcy lawyers in Placerville and Placer County offer free initial consultations you should seek the advice of experienced counsel. Even if you are only thinking about bankruptcy the advice of a bankruptcy lawyer early on can save you thousands of dollars.